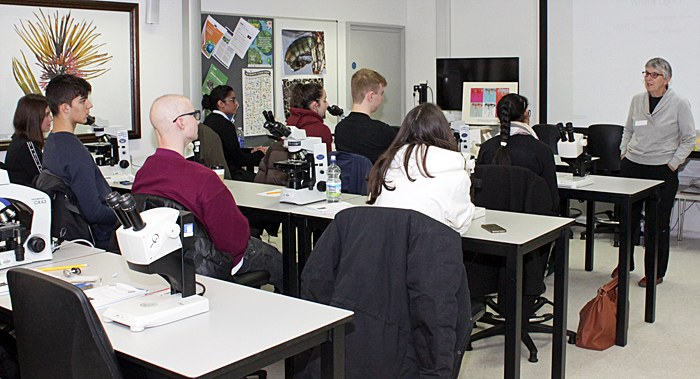 This was the fifth workshop for Arkwright Scholars on the uses of the optical microscope, held as before in the Angela Marmont Centre in the Natural History Museum in London. 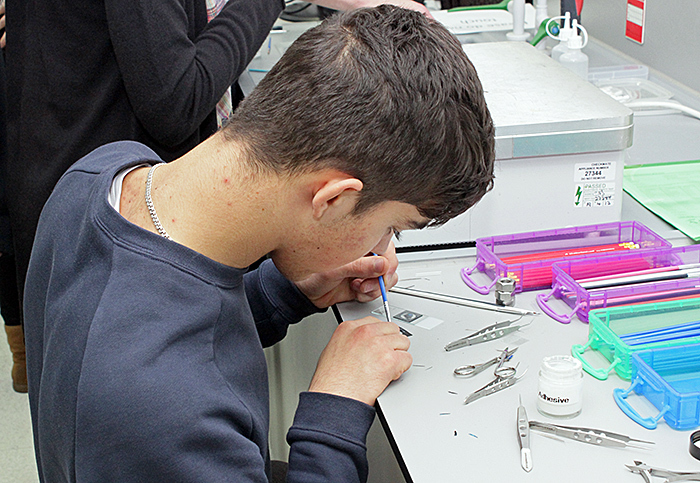 The Arkwright Engineering Scholarships are awarded by the Arkwright Scholarships Trust and support students through their A Levels or Scottish Highers and provide financial assistance to help them pursue engineering, computing or technical design at university or through a higher-level apprenticeship. 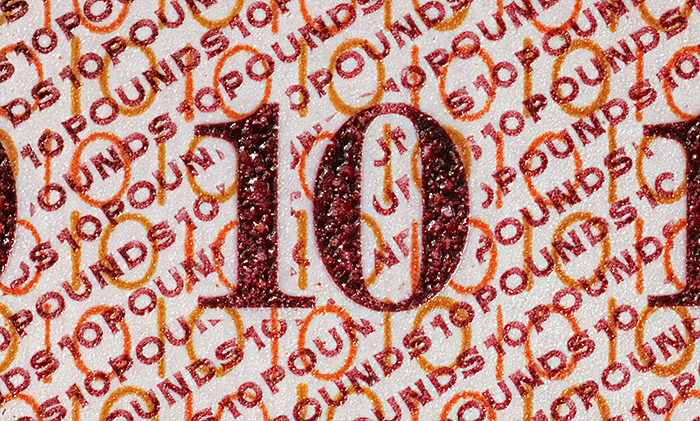 The Scholarships are sponsored by industrial companies, universities, charitable trusts, trade associations, professional engineering institutions, the Armed Services, Worshipful Companies, industry regulators or personal donors. Quekett members Lewis Woolnough, Pam Hamer, Dennis Fullwood, James Rider, Paul Smith and Alan Wood assisted at the workshop. 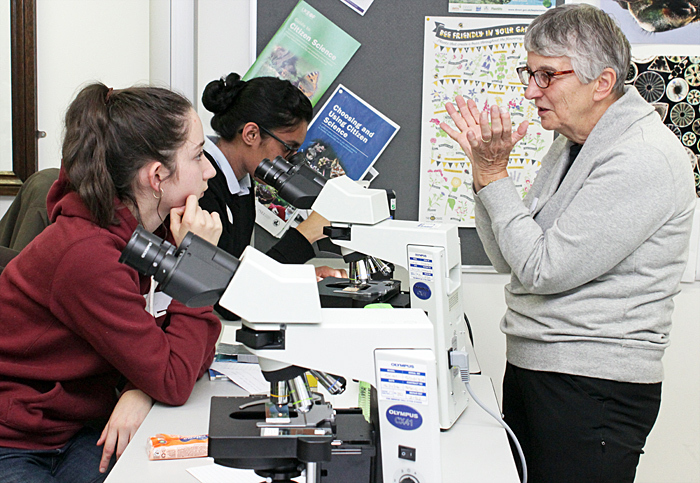 Tricia York and Poppy James from the Trust came to observe but couldn’t resist looking through the microscopes. Pam Hamer welcomed the Scholars and introduced Lewis Woolnough. 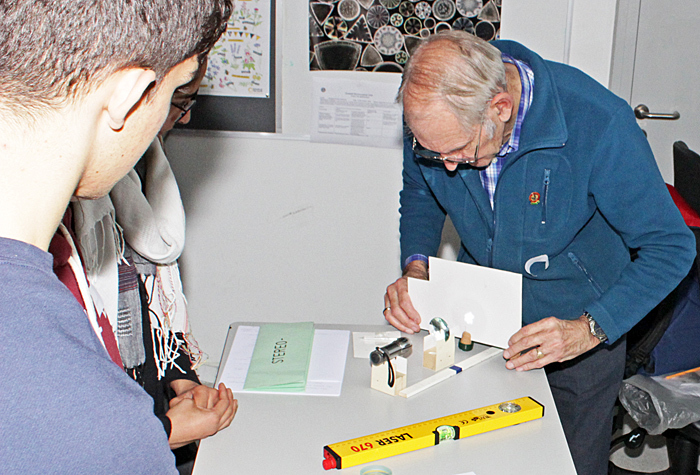 Lewis Woolnough gave an introduction to light, lenses and microscopes, with examples of diffraction, magnification and resolution. 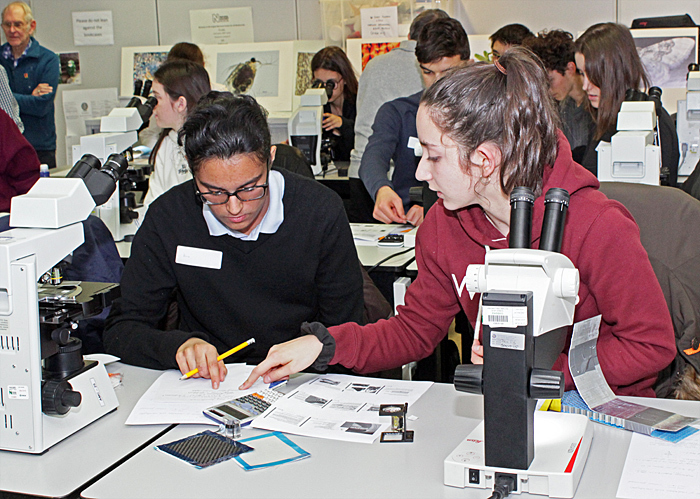 Based on what they had just been shown, the Scholars were asked to construct a basic compound microscope using 2 lenses, a specimen, a light source and a screen. 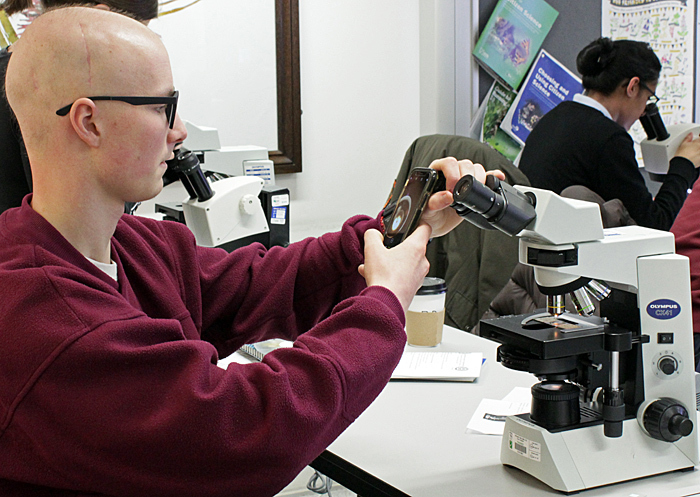 Lewis explained the differences between compound microscopes and stereomicroscopes and their advantages and disadvantages, and explained how they should be adjusted to suit the user’s eyesight and to get the best results. 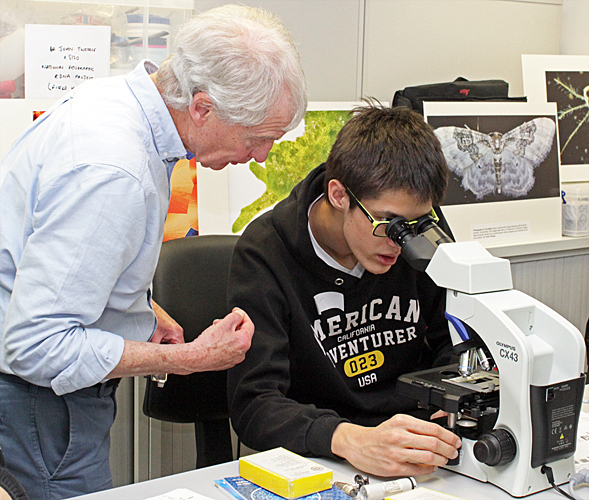 The Museum provided 6 Leitz EZ4 stereomicroscopes, 5 Olympus CX41 compound microscopes and an Olympus BX43 compound microscope, and Quekett members made sure that the Scholars had adjusted them properly. 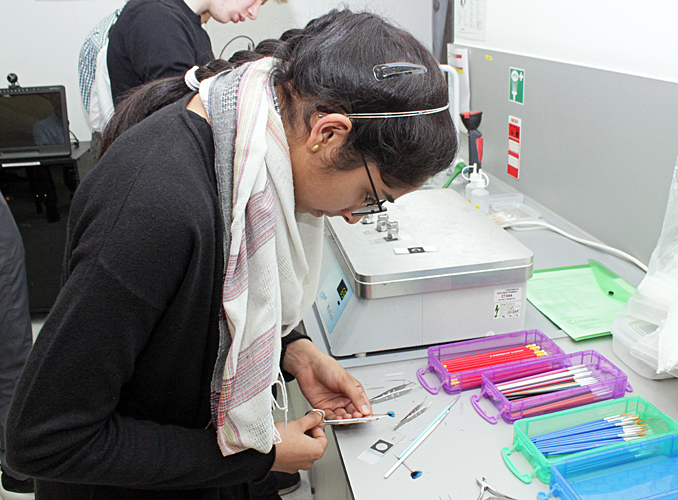 Solvay had kindly provided some real materials for the Scholars to examine, including climbing drum peel test coupons (aluminium skin bonded to aluminium honeycomb with blue adhesive), carbon tooling laminate (layers of glass fibre fabric, carbon fibre fabric and resin) and painted samples of the bonnet of a BMW car. 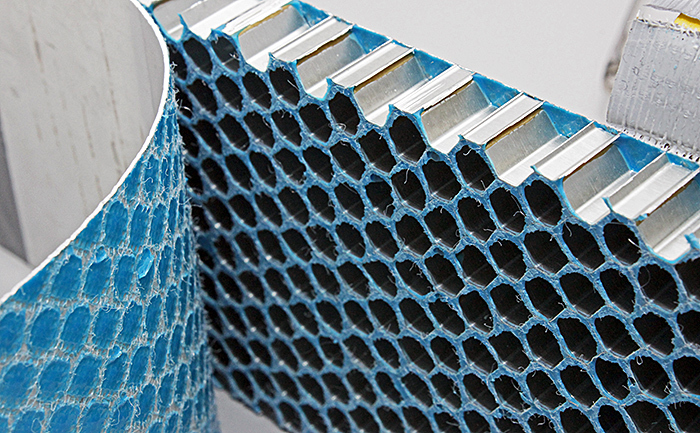 One skin of the climbing drum peel test coupons had been forcibly peeled off so that the blue glue could be examined to see whether there were any air bubbles, and to see the quality of the fillet (the shape of the adhesive where the skin and the honeycomb meet). 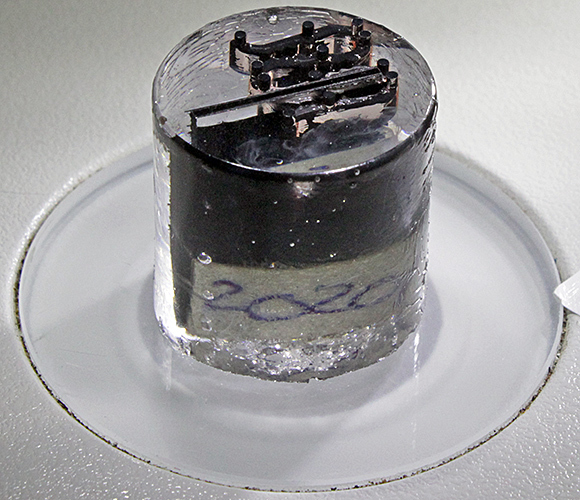 In addition to a large sample of carbon tooling laminate, Solvay provided sections embedded in resin cylinders that could be examined with the stereomicroscopes, and woven fabrics made of carbon fibre and glass fibre. 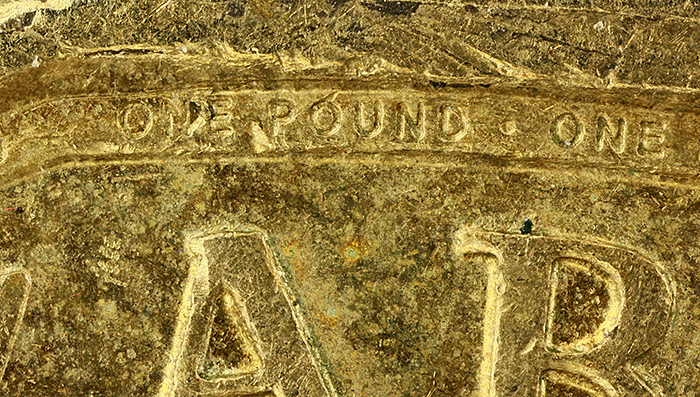 There were visible defects in the laminate, including dry fibre (where the resin had not impregnated) and voids. 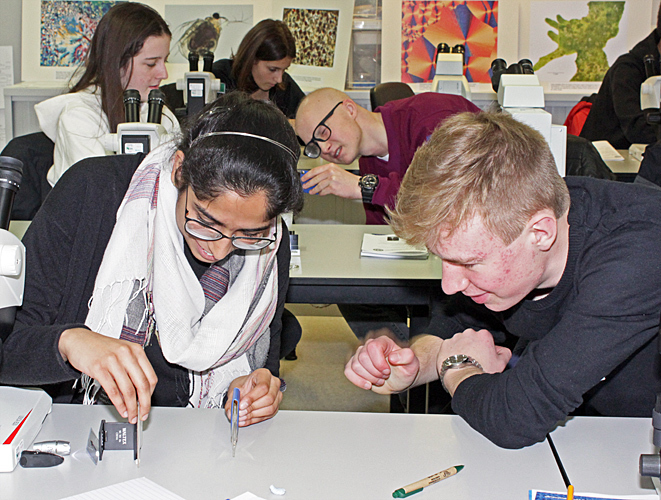 With the aid of a piece of graph paper with 1 mm squares, the Scholars were asked to calculate the area of the field of view through a stereomicroscope and the area of the voids within the field of view, and then calculate the percentage of voids. 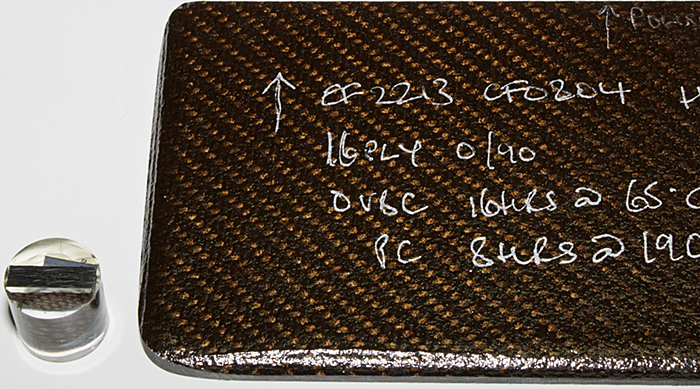 Solvay also provided sections of the painted carbon-fibre composite material that is used for the bonnet of a BMW M4 GTS. 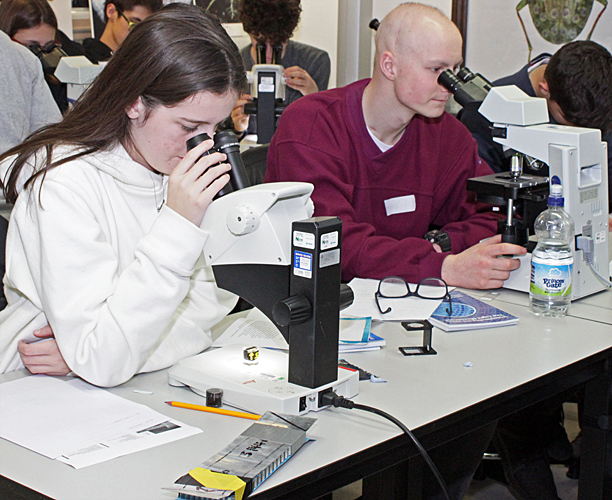 After completing the engineering-related tasks, the Scholars were free to explore other aspects of microscopy. 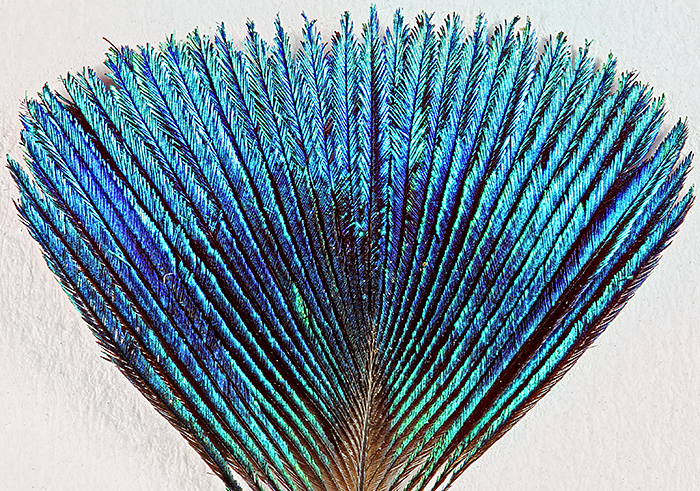 Dennis Fullwood showed them how to prepare dry-mounted slides of peacock corona feathers that they could take away with them. 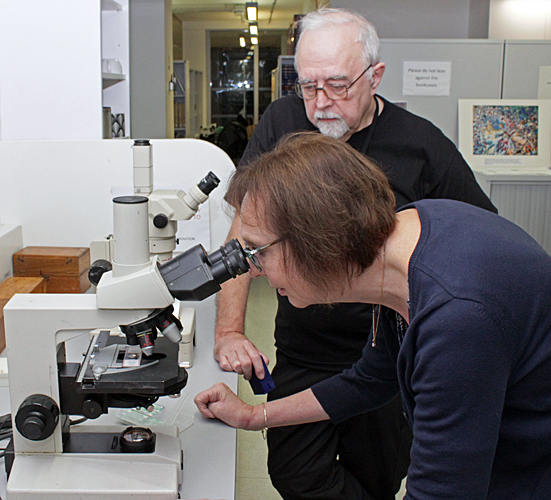 Dennis also provided samples of polished Baltic amber (40 million years old) that when examined under his Olympus SZ4045 stereomicroscope revealed the presence of insects. 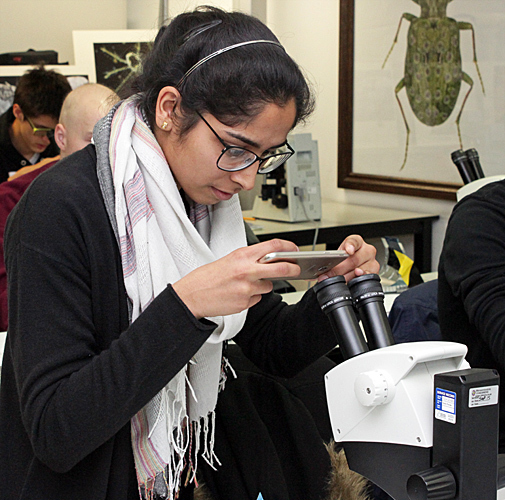 The Quekett has a collection of over 20,000 microscope slides, some of which are available in boxed sets for members to borrow, and the Scholars were able to examine some of the sets. 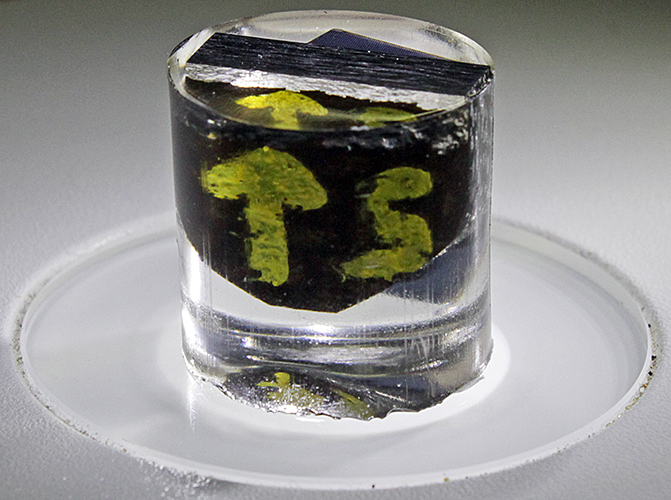 Dennis Fullwood also brought several boxes of slides from his collection, including the tongue of a blowfly and a fairy fly prepared by Frederic Enock. 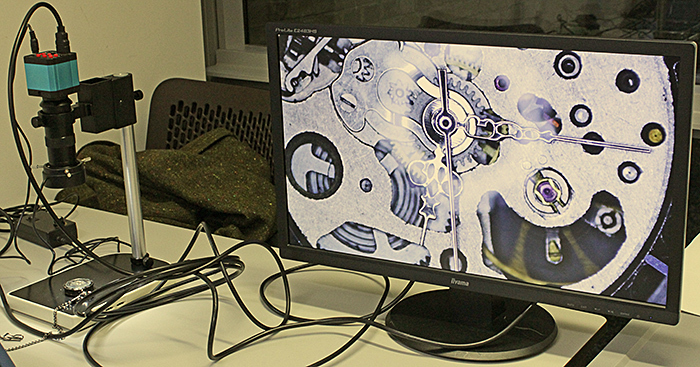 Dennis also brought a Chinese inspection camera, and used it to display the moving parts in a pocket watch on a large monitor. 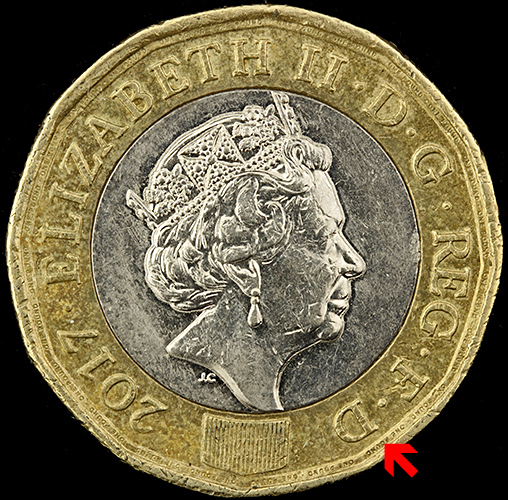 Pam Hamer showed the Scholars where to look for micro writing on bi-metallic £1 coins and on the new plastic £10 bank notes.